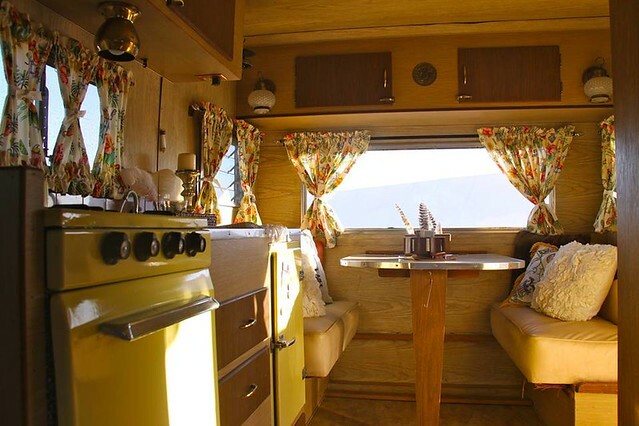 If you love vintage, you are undoubtedly charmed by the road trip and vintage camp lifestyle. Our love of this is no secret, we get inquiries about the trailers monthly. Only until now, do we have a referral and what a dang good one it is! RR: We are so excited to have you in our area, Jamie! 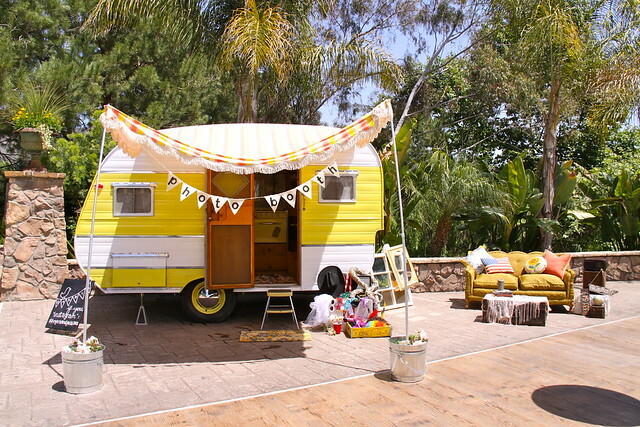 So many of our customers love or live the vintage trailer lifestyle, how did you fall into this business? Jaime: I fell into the trailer biz kind of on accident, but now I believe it was fate! I used to surf competitively for a number of years, and that created soo many amazing adventures spent traveling and living in strange but awesome places! I lived in a trailer in Santa Barbara for a while, then moved on to live in a camper van in Australia, then onto a tiny converted hotel room, then back into a trailer haha and the story goes on and on!! I love living out of a suitcase, and have been living the gypsy lifestyle since I was 16 yrs old! I guess I have always been attracted to small nooks on wheels.. and especially to life on the road!!! I have lived in over 10 towns in the last 5 years alone ... I might have commitment issues haha! My grandparents for over 40 years now have owned and operated the most amazing furniture store in Morro Bay called Ocean View Furniture, as well as a few antique stores. They have been interior designers since before I was born .. their love for it was passed down to my mom and now I believe their passion for interior design was passed down to me!!! I happen to love interior design .. but on a wayy smaller scale.... like the kind of scale you can only fit into a 12 ft trailer! I bought my first vintage trailer when my husband was out of the country on a work trip... he came home to it haha and it spiraled from then on.. luckily he is super supportive!!!! I am a BIG dreamer and I truly believe anything is possible!!! 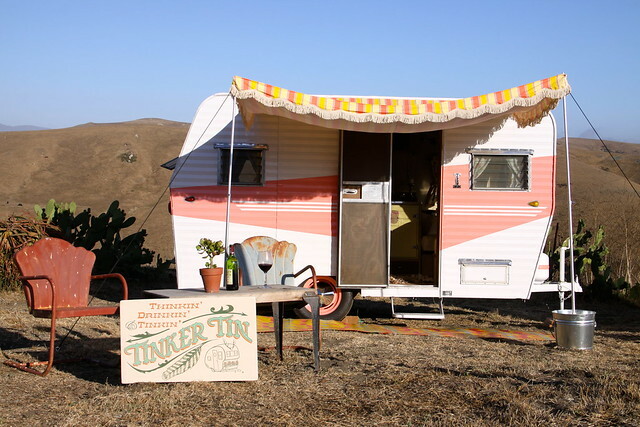 SO I just combined some of the things I love.... ramblin' life on the road, camping, the outdoors, design, etc and turned into Tinker Tin!!! RR: Tell us about your rentals. How long can peeps rent a trailer? How far can they go? Do you deliver? Jamie: We tow, deliver, and set up all the trailers within San Luis Obispo county for just the nightly fee! All the customer has to do is tell us when and where and they can arrive to their campsite and it will be all set up waiting for them.. no stress ... no hassle! We aren't like most rental companies.. we don't have a bunch of hidden fees.... NO set up, delivery, or cleaning fees!! We will tow the trailers anywhere outside of the county as well... the customer just has to pay the extra gas. We will do everything from start to finish to... if you want us to book the campsite, provide the firewood, have a chef come in and cook all the meals, tour guides, limo rides to the wineries.. you name it we will plan the whole trip start to finish .. birthday weekends, bachelorette parties, family reunions etc etc!! We have 1 trailer that we completely gutted and re-did... it is now our events trailer! For weddings.. it is a bridal suite complete with outlets for curling irons, mirrors etc.. during the day, and turns into a photobooth at night ..with custom automatic strip print outs-1 for the guests and 1 for the bride and groom!! It also works great for small jewelery makers, or bakers, or florists to sell their merchandise out of at a farmers market etc!! Ask us about discounts to... if you're a local you get a discount, military gets discounts, if you work for or volunteer at a non-profit or some place else that has a positive impact you get a discount to, oh ya we like teachers to.. they can have a discount also!!! We love our county and we want to support everyone!! RR: What is your take on why the vintage trailers are so in trend these days? Jaime: I think once the recession hit, "stay-cations" became the norm for most families!! Elaborate trips abroad weren't as attainable so families started camping, and road tripping more. A lot of people have health issues that make it hard to sleep on the ground in a tent, or they just plain don't want to .. so trailers and rving as a whole has had a big re-birth! The little vintage trailers are soo cute and such eye candy, that if you're not into big RVs and want something light and simple to tow that will keep you out of the elements at night... vintage trailers are the ticket!! 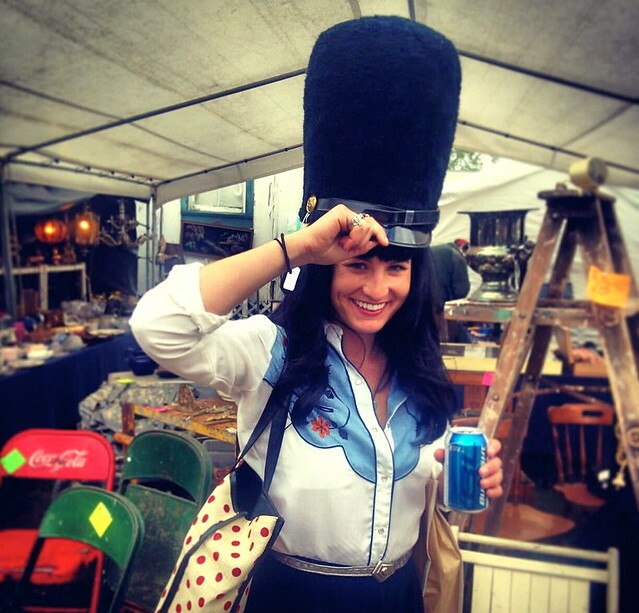 RR: We talked a bit about our love of road trippin' and Texas shopping--where else do you go to find vintage? RR: How can folks find out about you and what you're up to? Jaime: Find us on our website, tinkertin.com. We have a blog on there too! 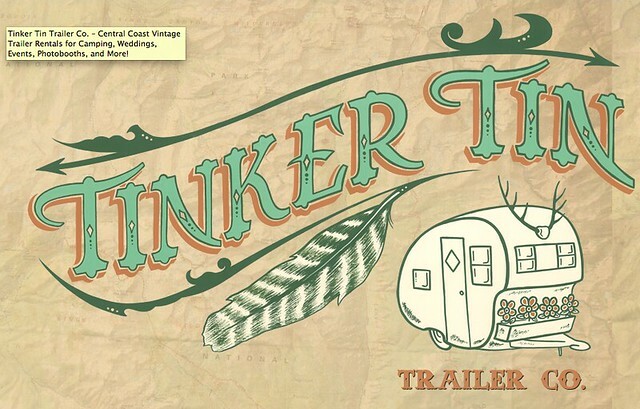 Facebook - Tinker Tin Trailer Co.
We hope to be on Twitter soon... but I am a bit worried I might get kicked off since I don't have much of a filter! I think I don't have a choice about that since I am Portuguese! RR: What would we be surprised to know about you? Jaime: I can't whistle, wink, or snap! It's truly heart breaking!! Everyone always tries to teach me.. but I am a lost cause! RR: Thank you Jaime for finding us and I will thank Rick and April for hooking us up! Thanks all for reading! Jaime and her trailer will be at Anthology on Friday and Saturday (the 23rd and 24th) for The Junking Trail! Looking forward to seeing you on the trail!